When I first started my research, I searched by broad standards, looking at studies and articles with effects of technology on the general population, and then I furthered my search. 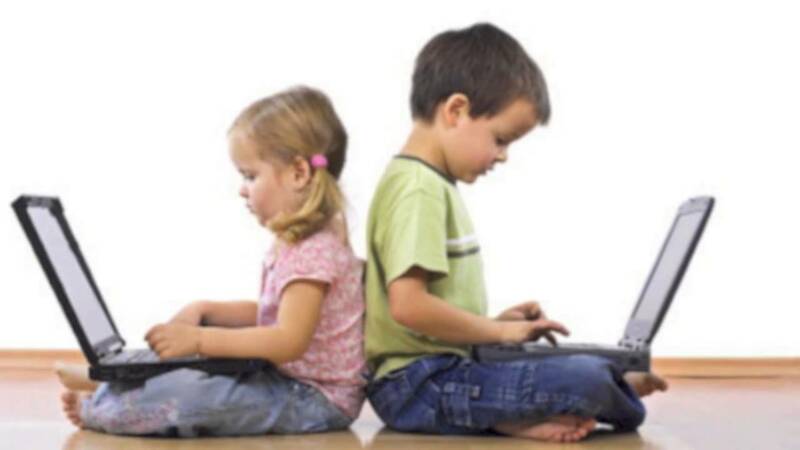 I wanted to look at effects of technology on children and adolescents, primarily because I grew up in the generation when this issue started and where it is probably most prominent in regards to implications for the future. 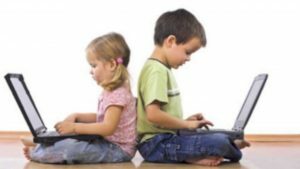 One of my articles that I found, titled, “Media and Technology Predicts ill-being Among Children, Preteens and Teenagers Independent of the Negative Health Impacts of Exercise and Eating Habits” looked at the impact of technology in four main areas of ill-being for children: psychological issues, behavioral problems, attention problems, and physical health. The subjects of the study were among children (aged 4-8), preteens (9-12), and teenagers (13-18) and was conducted through an online survey completed by their parents. 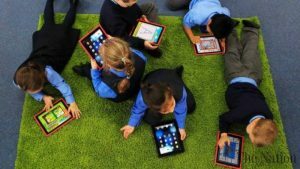 The results of the study suggested that while age is a variant in regards to the population of children/adolescents analyzed, technology appears to have a harmful effect on health. It was found that screen time allotted to children by their parents should be minimized so that the children can obtain optimum health, specifically in regards to physical health. 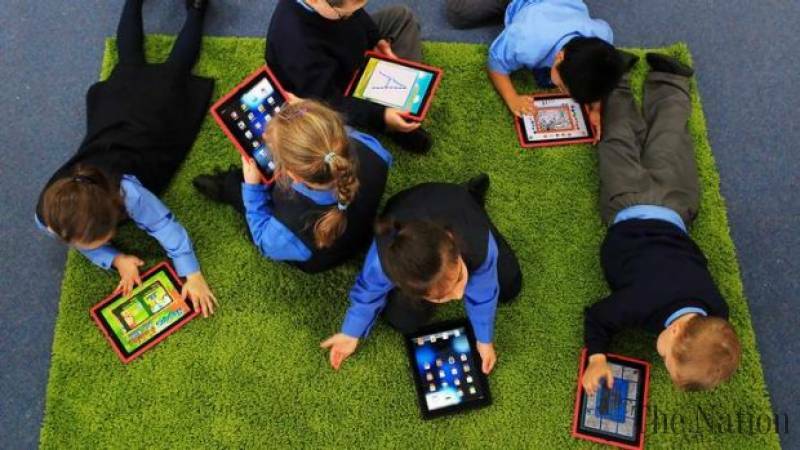 Screen time has been shown to reduce physical activity in all of the populations of the subjects’, which can lead to a multitude of diseases. In addition, screen time has been shown to induce poor eating habits, which also gives rise to diseases such as obesity, diabetes and different types of cancer. Similarly, I found a somewhat more broad article that encompasses the issue at its core and what I originally wanted to look at – an article titled, “The Effect of Social Network Sites on Adolescents’ Social and Academic Development: Current Theories and Controversies”. The research from this article analyzes what we have spent a lot of time talking about: social media networks, which in this case for purposes of the study, was coined the acronym “SNS”. The researchers from this study found that while social capital may be a positive gain from SNS sites such as Facebook and Twitter. Beyond this, it was discovered that peer influence is related to safety behaviors in SNS. For example, if someone’s friend were to make their Facebook privacy setting “public”, then there would be a higher chance that they would do the same thing as well. In addition, there have been many cognitive behavioral issues such as cyberbullying that have linked to the usage of technology and SNS in adolescents. This topic is especially important to discuss because as we are transcending into a virtually technology based world, we need to be aware of the effects and implications that it has on society as well as the future generations to come. Particularly regarding the facet that social media networks cause such behavioral and physical issues, it is important to raise awareness so that these issues do not become worse and so we can ameliorate the issue at hand. 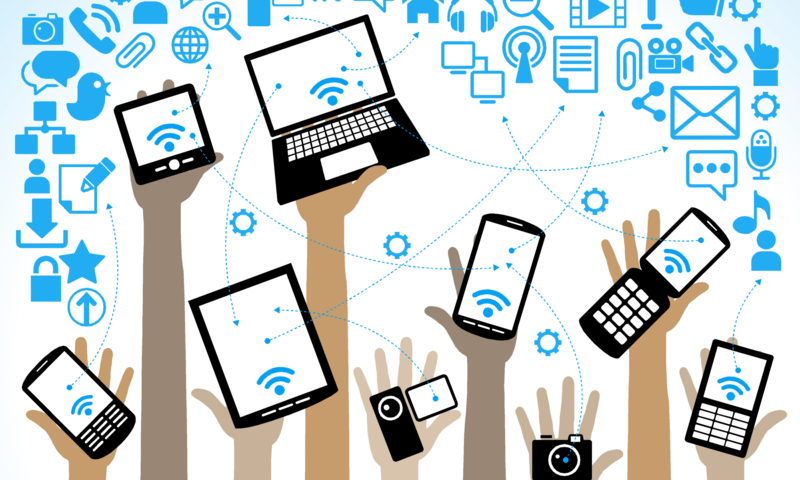 If we do not talk about the problems with technology use, then they will only multiply. While I looked at the many options for writing this weeks assignment about reflecting on Module 14, I couldn’t help but have the urge to go on a tangent and rant about my own thoughts, irrespective of the prompts given. Most of this week’s material was focused on the influence of technology on our lives and specifically, what it means for the future in terms of the ways that we communicate with one another, how we learn, and so forth. In Sherry Turkle’s op-ed piece in The New York Times titled “Stop Googling, Let’s Talk”, this topic is highlighted. This issue speaks on multiple levels to me – being a student, using my iPhone for means of communication and learning both in and outside of the classroom, but also as a regular 21 year old female senior graduating college, trying to navigate her life and figure out the next steps. My phone is never far from me. And if it is, I start to panic for multiple reasons: one being, where did my phone go? did I lose it? Another being, what if I can’t find my phone and there is an emergency that I won’t know about? And a third major reason, how will I stay in contact with people? I think these are issues that everyone who grew up in the 21st century worries about, and most people in our society who use technology. 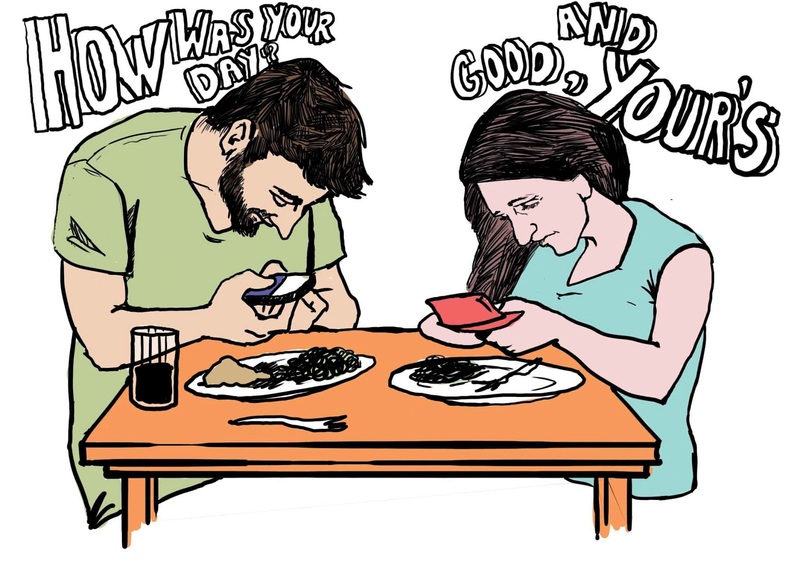 I wish that this weren’t the case, but we invest so much of our time and lives into portraying and subjecting ourselves onto the internet and our social media apps on our phones that we forget how to communicate face-to-face. And this is what Turkle is talking about. 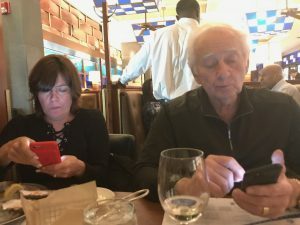 In the article, she touches upon the idea that using phones in social settings may hurt the dynamic and conversation and weakens the bond between those conversing. Again, I wish that I could take myself out of this equation, but I definitely partake in this problem. As I previously mentioned, I am constantly on or near my phone. It actually can be a major part of a conversation, as I may have something to show my mom or my friends and no substantial auditory conversation can do it justice besides showing them what I am talking about on the tangible device. Turkle goes on to argue a very interesting point of which I happen to agree with. She talks about something she learned about from college students called the “rule of three” where you have to check if at least three out of however many people you are talking to are paying attention to what you are verbally talking about to them. I think that this is SO important with what is going on in today’s day and age because so many people get so distracted so easily. Often times, I find this happening in my life with either my friends or family. In fact, while this usually happens with my friends and people who are around my age, something funny happened last night when I was out to dinner with my mom and step dad. They were both on their phones, and I had to grab their attention and joked that its “lovely having dinner together” because they weren’t paying attention to what I was saying. So I definitely get it. 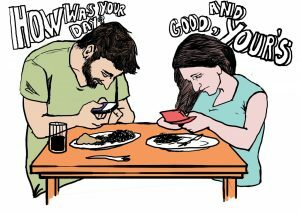 And then other times when I am with my friends, usually a large group of them, I know before I say something important that I have to preface it with telling them to put their phones away, because phones are such a big component of our daily lives and social networking. And then I thought of the other side of this debate. As I mentioned in our Hypothes.Is regarding this article, one of my best friends is starting a full time job at Google come graduation. I see from her perspective how important the Internet is and how important Google is to our daily lives and functioning, whether it be for lax purposes, work, or academics. People can be so invested in figuring information out and having a thirst for knowledge that they can literally be inundated with Google and their phone. I think I fall in the middle of this. I have a thirst for knowledge and love to learn more about all realms of life. However, I see how detrimental it can be to a conversation and how it can strain relationships. After reading the Media Manipulation report, I found the research to be horrifying. I had no idea that all of this was going on with the media, and let alone that the media and the information that I’d been reading and receiving had been completely manipulated and made into something else that has not been entirely authentic and true “facts”. While this report talks about a multitude of subculture groups that have manipulated the media, among them being internet trolls and alt-right groups, the one that I found to be the most interesting is in regards to the “Manosphere”. The “Manosphere” consists of certain blogs and other forums on the internet that are solely dedicated to discussing masculinity. 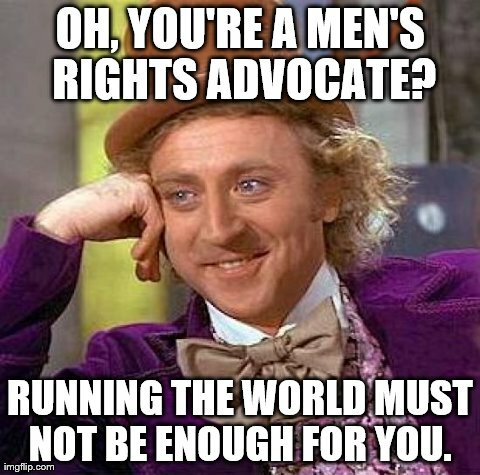 In the “manosphere”, there is a subculture titled “Men’s Right’s Activists”, MRA for short. As written in the article, the MRA “eschew’s feminists in favor of women who adhere to traditional gender roles”. In my opinion, the most shocking information of all that I found out is how they actually manipulate the media. The MRA try to gain their recognition and popularity through spreading a wealth of information about family law, parenting, reproduction, compulsory military service, and education. What they do though, is even more shocking. These people who belong to the MRA manipulate the media by attempting to prove the validity of their information through analyses that are blown out of proportion, such as claims that “men and boys are victimized; that feminists in particular are the perpetrators of such attacks; and that misinformation, political correct- ness, and the liberal agenda are used to hide the truth from the general public”. By doing so, they form a fan base, and therefore, like any other group especially on the media, their fame rises and they become more well-known. Therefore, the media is attracted to them and the information that we as readers receive and learn from is now being manipulated to an extent that is unfortunately pretty hard to control right now. For one of our assignments this week, we had to make a meme that illustrates a point of view of Facebook. I thought that this assignment could not have come at a better time, especially considering everything that has been going on in the news with Mark Zuckerberg and Cambridge Analytica. 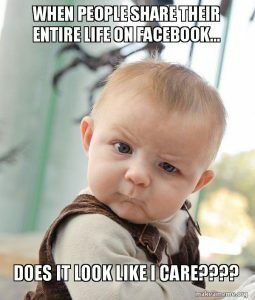 For my meme, I decided to make one of a baby making an angry/annoyed face and I stated, “When people post their entire life on Facebook… Does it look like I care?” While this doesn’t have to do with the scheming that had happened recently in the news, I feel that it conveys a strong message of how a lot of people feel. While some people use Facebook as a diary, they do forget that it is a social platform meant to engage with people, and not just write how they feel. I think my meme is the type where people would agree if they saw it, or “retweet”, but I don’t think a lot of people would willingly say it. Because a lot of people participate in this type of behavior, which is kind of ironic. I tried out a few different memes and am not the most visually creative person, so it was a little difficult coming up with a final meme, and more so the message to go along with the meme. I wanted to make sure that both worked well together and were cohesive, and that it didn’t come along as something otherwise. With the presidential election this past year, memes were extremely popular, for both major political parties. I definitely think that this had some traction in swaying votes for the election. One can argue that there were more/worse memes for Hilary Clinton, and one can argue that there were the same for Trump. Even so, they definitely had leverage on people’s opinions. 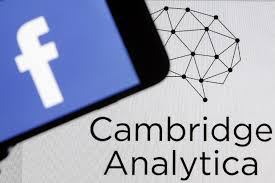 Political messaging is extremely important, and as we have seen not only in the election, but also recently with Zuckerberg’s court appearance due to the Cambridge Analytica scandal, they circulate extremely quickly. And everywhere. Memes are a great way to spread messages, and some even become so famous that they become the center of the issue. I think that memes make people reflect on their opinions, and can either sway them one way or another, and in a sense help people form them, because someone is stating how they feel. Over the past few weeks, I have been given the opportunity to explore privacy issues regarding the digital world. Specifically in regards to the Cambridge Analytica/Facebook scandal, as students, we were asked to contemplate our own positions on this matter, as well as our family members. For those who may not know, Facebook recently took a plummet in its standings due to the scrutiny that had begun to question the nation. This scrutiny started because of the leakage of millions of Facebook user’s personal information for the 2016 Presidential Election. As a result, Facebook has been under investigation, and just last week, Mark Zuckerberg spoke before congress on behalf of the social media platform. Though unfortunate that this happened, because of it, I did fortunately get to hear some unique perspectives on the issue from those in my own social circle. 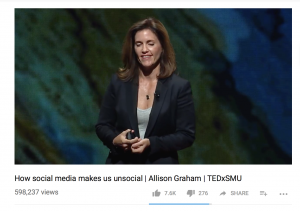 A few weeks ago, Dr. Taub had us do an assignment where we created a Voice Thread and interviewed a person of our choice about the scandal, their reactions, and if their opinions of Facebook changed because of it. For the assignment, I decided to interview my step-dad. I chose him because I knew he would have a very strong opinion, irrespective of what it may be. When I asked him if he would consider not using the social media site anymore, he adamantly stated that the issue definitely made him consider it, as he is a very private person to begin with. From this interview, I also learned that regardless of the generation, issues of privacy seem to affect all of us at a generally equal rate. To Americans, because we are “promised”, privacy equals a high level of importance. However, while this is the case, I find it very interesting how so many people are willing to share so much of their information on the internet. Myself included, very well knowing that my data is out there and that it is essentially impossible for it to be erased, I still share private information for the public. Even though it’s a bit of an oxymoron because I still do it, I wonder why our privacy cannot be kept under wraps, no matter what we are promised.